Apple and Qualcomm are entangled in a number of lawsuits over patent royalties and other matters. As a result of the animosity between the two companies, Apple stopped using Qualcomm's modem chips on the iPhone, turning to Intel's chips instead. That led to another recently filed lawsuit when Qualcomm accused Apple of turning over the latter's modem chipset "secrets" to Intel. As described by Reuters, during a court hearing on Friday, Qualcomm said that Apple owes it $7 billion in royalty payments. Apple has accused the chip designer of failing to license its standard-essential patents at the fair, reasonable and non-discriminatory (FRAND) rate that is a common practice in the industry. These are patents that must be used for a manufacturer to meet a particular industry standard. Apple denies owing Qualcomm that much money in unpaid patent royalties, and claims that it is being charged twice for the same patent. Apple says that Qualcomm is billing it for using its chips inside iPhone models (dating back a few years), and again through the patent royalties. Qualcomm says that its business practices are legal. 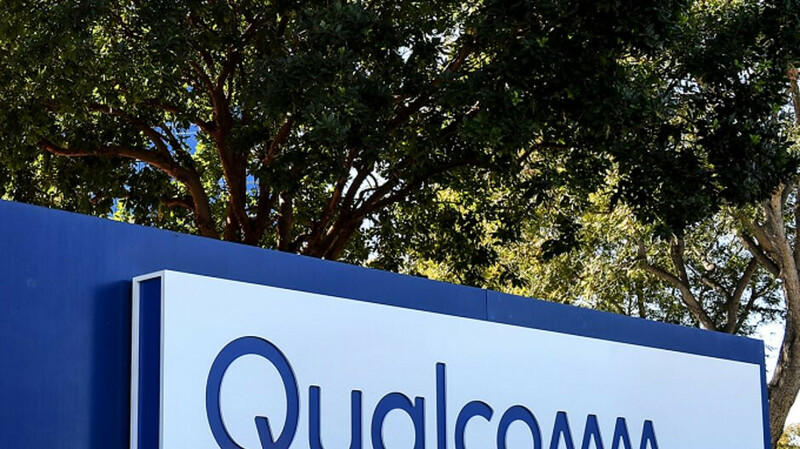 Qualcomm revealed the $7 billion figure in federal court in San Diego. Apple's Cupertino headquarters is over 700 miles from the city, which gives Qualcomm a major "home court advantage." The chip designer is based in San Diego. Home court advantage? Wtf? Ummm, no. If you were talking about different countries being represented, you might have a point. In this case, you don't. I don't think it was meant to be taken that literally. Im sure they will favour Apple since they make the economy alot more money. Considering Apple keeps a vast amount of money offshore to avoid paying into the US economy, then i seriously doubt that would be a factor. Apple also keeps a large amount of debt (over $120 billion), do you know why? ... Firms with large debts pay lower taxes. At the end of the day the one thing Apple does not care about is the US economy. That was just a declaration to keep Trump happy due to his moaning about not building the iPhone in the US. Take this quote from your own article. "That means that Apple isn’t just dropping $350 billion in cash into the US economy. It’s not entirely clear how Apple is reaching that number, but a lot of that money is just part of the company’s normal accounting for things like buying component parts and growing its digital software marketplace. According to Apple’s press release, just $75 billion of that total number will come from capital expenditures, new investments in manufacturing, and its repatriation tax payment, which could imply that the rest of the number is simply the effects of a company as large as Apple having its regular impact on the US economy through its normal growth and spending." In what world is San Diego 700 miles from Cupertino? It's probably 700km, not miles. That was a relatively short article, would it really be that difficult to fact check? You're right. I looked up the distance from San Diego to Cupertino; according to Google Maps it's 466.2 miles. Converting that yields about 750.6 kilometers. Doing anything they can to avoid paying what they agreed to pay for originally, go figure. They sure as hell don't price their own wares fair and reasonable do they. From previous articles on this matter, Apple agreed to pay Qualcomm royalties on all of their devices, even if they didn't have a Qualcomm modem inside them. Qualcomm has claimed that Apple has also used their patented technology in devices not equipped with Qualcomm modems. So for Apple to pay Qualcomm for use of their modems or patented technology or both, seems reasonable and is an agreement Apple willingly entered at the time when they benefitted from it greatly. Intel offered cheaper modems, albeit inferior and Apple wanted out of the original agreement. They should pay what they owe and move on. Here we go again. Apple, if you owe it, pay it bruh. If you don’t, then Qualcomm shouldn’t get any more, than what’s owed. For the record, Qualcomm motems work better than Intels, as far as iPhones go. Ok after $1 Billion I would have stopped helping out Apple until they paid up. Dumb on Qualcomms part for letting it go up 7 times, but it makes sense why they use Intel chips now. Let’s see what happen here, both company is US company no more home court advantage here. We have see the contract yet so we have to wait and see, contract is contract if Apple break it she need to pay. If Apple was duped to pay more than it was fare, than it's only normal to seek justice. I'm going to whatch how this trial goes, because I think EC should also fine apple for the price of iPhones in EU, before taxes: they are more expensive than in US, although there are less services offered to EU citizens. Apple was not duped, they entered into the contract knowing full well what they were paying. If Apple want to end their contract with QC then it's all well and good but they still have to pay for goods received, Apple is refusing to do so even though they knew exactly what the price was. All other OEM's pay QC's FRAND prices why should apple be any different? If Apple was overcharged just because iPhones cost more and they generate higher profits, than Apple is in its right to refuse the payments, even though they signed a contract. So, no, an abusive and/or deceiving contract is not ground to force a client to pay more than the fair price of a service, even if the client has a shitload of money, it's called Apple and, for an illogical reason, has your hate. @Leo: 100% correct. I wish some author in PA will help readers understand what the heck FRAND prices mean. Your statement is by far the most accurate one i have seen. I have only said Apple shouldn't have to pay, if it was duped; I don't know where you live but in EU duping the customer is a penal offense (which means that sometimes one gets jail time for lying to a customer in order to sell him stuff). Of course, living in EU, I can contest any contract in a court, even mortgage ones; after 2008, a lot of clients (and I mean a lot: tenths of thousands) with mortgages sued their banks for passing to them the entire valutary risk - all of them won and the banks were forced to return their money and renegociate all the unfair contracts. That is because a contract CANNOT DISREGARD THE LAW. @mootu: you are completely forgetting that QC was the only company that made CDMA chips. In a way Apple, the biggess company in the world had its arm twisted. Please understand what FRAND means before posting it. The whole argument is that QC prices are not FRAND. Except CDMA isn't a must have, never has been. Apple choose to use it, just like they agreed to the terms of the contract until the moment they looked into using other suppliers and realized that they could get it cheaper. That's when Apple decided to suddenly want out of this contract, because it was no longer beneficial to them. And by the way, Apple isn't even close to being the biggest company in the world. CDMA patents received by QC are supposed to be FRAND. They are a must have if you want to cover networks of Verizon and Sprint. QC is legally bound to give these technologies at fair prices. Its not about Apple for goodness sake. "@mootu: you are completely forgetting that QC was the only company that made CDMA chips. In a way Apple, the biggess company in the world had its arm twisted. Please understand what FRAND means before posting it. The whole argument is that QC prices are not FRAND." I know exactly how FRAND works and so does Apple. They entered into the contract knowing full well what they would be paying and are now refusing to honor that contract. Also QC was not the only company that made CDMA modems, For the time period this case covers Apple were using Intel modems as well as QC. QC is actually suing Apple for slowing down QC modems to match the speed of intels, so no Apple did not have it's arm twisted and could have gone entirely with Intel as they have done this year. Which other companies had CDMA modem tech compatible for US providers? Intel just had their first tech this year. I am really confused who else has this tech? "QC is actually suing Apple for slowing down QC modems to match the speed of intels" What the heck. They are suing for non-payment and stopping vendors from also paying money. How can a for-profit company be fined for their pricing models in different countries? A company can charge whatever they want. Its upto the consumers not to buy them. Dont get me wrong, i am not a fan of their pricing but its not leaglly wrong to be fined. I just want EC to verify if Apple (and Google, and any other company) are correct in EU, considering the same product or service - before taxes, I repeat that, because here we have VAT which is 15% minimum (around 20% on average) - is cheaper in US. I mean manufacturing price is the same, transport is about the same, rent prices for physical stores are - on average - the same (an iPhone sold in London - which is renowned for its rent prices - or Berlin is cheaper than the same iPhone sold in my country), the same with salaries, utilities etc. Than why on earth the prices for Apple products (and a lot of other electronic products) are higher in EU than they are in USA?! I pay taxes to EU so that it creates a set of rules that protect me - the consumer - from abusive practices or bullying from big corporations, because it is harder for me to take Apple to court for overcharging. I want an investigation to see if I pay the right price - if the prices are right, I will also buy all my products from USA or directly from China and all the sellers in EU can go f**k themselves; if they are not, I want to pay the right price - because that's why EU exists.